I have always been a reader even as a little girl. Now I am finding it hard to read novels for relaxation if they contain medical problems. Most of the authors either don't do adequate research or they don't get a physician to check on what they are writing. I particularly enjoy British authors but now I am reading a book by a British author I probably will give to the Goodwill and not finish. A child in the book has a serious medical problem for which the solution given in the book is absolutely wrong. Even a Google computer search would have told the author the facts were erroneous. My concern is that parents who have a child with a similar problem and who may not be very educated will be upset and think the information is correct. Medical care in the U.S. has deteriorated so badly that misinformation in a book by a best selling author could cause damage. I find that many pediatricians spend little time with their patients and don't get to know their families as I did. One parent did not even remember the name of her child's pediatrician because she said a different partner always seemed to be taking her calls. So if a parents wants to ask about a medical problem, the 8.5. minutes that many HMO's and doctors allow is not time enough to ask questions. I have always been surprised and pleased about how Alan Alda and the others in the old MASH TV series did such an outstanding job of usually being very correct about their medical facts. They did an amazing job and obviously had a good medical consultant. So as with everything else in novels or on the Internet it is always wise to check and double check medical facts. I am always surprised and concerned when I read a novel by a best-selling author and find major medical errors. I would assume that any author would do research before having a character in a novel be disabled because of a medical problem. Don't these authors do any research? The Internet is a fairly reliable source of information, but some of it is outdated or incorrect. It would be very easy for an author to contact an expert who is knowledgeable about a particular disorder. I have found that the real experts are very generous about giving information. When I was in private pediatric practice I had an expert I could contact about snake bites, another about dog bites and another about infectious diseases. They were always pleasant and glad to help. They made a real difference in my ability to care for children who had unusual or dangerous disorders. In a novel I started reading recently, the author describes a major character as having multiple sclerosis. Her information is totally outdated and scary for someone who has the disorder or has a friend or relative with multiple sclerosis. Now a monthly intravenous injection is given and the patients can work full-time, travel and exercise. In the book I started reading, the character was almost bed-ridden and on her way to dying. That is in a book recently published. In a book I read some time ago, a child was in a wheelchair at age eight because of Duchenne muscular dystrophy. Having directed 6 neuromuscular programs and seen hundreds of youths with the disorder I was outraged. With proper medication, physical therapy, and orthopedic surgery at the appropriate times, I kept boys walking into their teens. I have always enjoyed reading and find a good novel to be relaxing. However,recently I am finding more and more medical errors in books published by major publishing companies. I am puzzled why the editors don't have someone with a medical background check that the details are correct when a medical problem plays a major role in a novel. Not only are these errors annoying, but I think they can also cause problems. Recently, I started reading a novel where one of the children had been diagnosed as having Asperger's Syndrome. 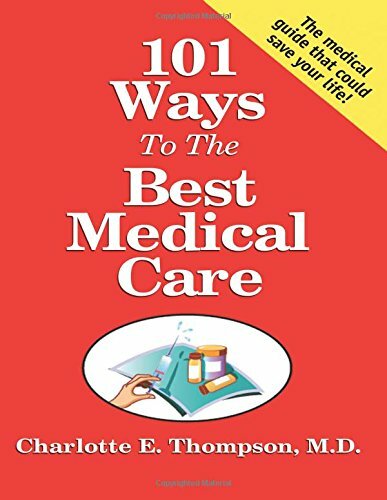 Not only was the syndrome misspelled throughout the book, but many of the details were incorrect. The child was put on a gluten-free diet, not at a doctor's recommendation,, but from a source on the Internet. There has not been any acceptable medical research finding that this diet can help. Instead, it can cause harm because some necessary nutrients will be missing from the diet. If a child has Celiac disease, a gluten-free diet is needed, but not otherwise. Another novel was even more upsetting, because the author had a boy in a wheelchair at age eight with the diagnosis of Duchenne muscular dystrophy. She also called it a disease and made several statements that were totally inaccurate. No boy with this disorder should ever be in a wheelchair at age eight. I have been the physician for countless youths with Duchenne muscular dystrophy and with appropriate physical therapy, night braces, stretching,orthopedic surgery and prednisone have kept many of the boys walking into their teens. I cannot imagine being the parent of a boy with this type of muscular dystrophy and reading all the inaccurate statements in this novel. That would be very upsetting. With so much discussion now about the Tucson shooting, mental illness is receiving more attention. There is certainly a hereditary or genetic component to some mental illnesses and it would be interesting to know about the Tucson shooter's family history. It would also be important to know how he was parented. As a pediatrician, I read the account of Amy Chua's book, Battle Hym of the Tiger Mother, with horror. I amazed that Penguin Press would publish such a book. I guess money was their only interest. Having had parents like Amy Chua when I was in private practic, I know what effect such parenting can have on a child's mental health. I hope her two daughters have other adults with different parenting styles care for them when she is working. I remember one father sending his two-year-old to an educational nursery school at the local college so that he would be sure to be admitted to Harvard. When I asked how much free play time the child had, he could not or would not answer. Children need to be able to chase butterflies, play games of their own devising, read fun book, and just dream. Trying to teach a pre-schooler to read is most unwise. Each child must develop and grow at his or her own speed. I remember one professional father who pushed his duaghter so hard that she later jumped from a high window at her university. At New York University, the library has high balconies that have been ideal for students' suicides. Because of the many suicides at colleges, extra mental health professionals are being employed. I hope no parent will copy Amy Chua's parenting methods. If so, I fear the results.